The remaining nine leaves of the album are each inscribed as being painted in the style of an early master; it is not uncommon for albums to comprise practice works in this way. 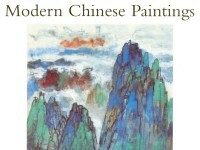 Wu Hufan was born in Suzhou, Jiangsu province. He is known not only for his landscapes, but also for his collection of traditional paintings and his connoisseurship. 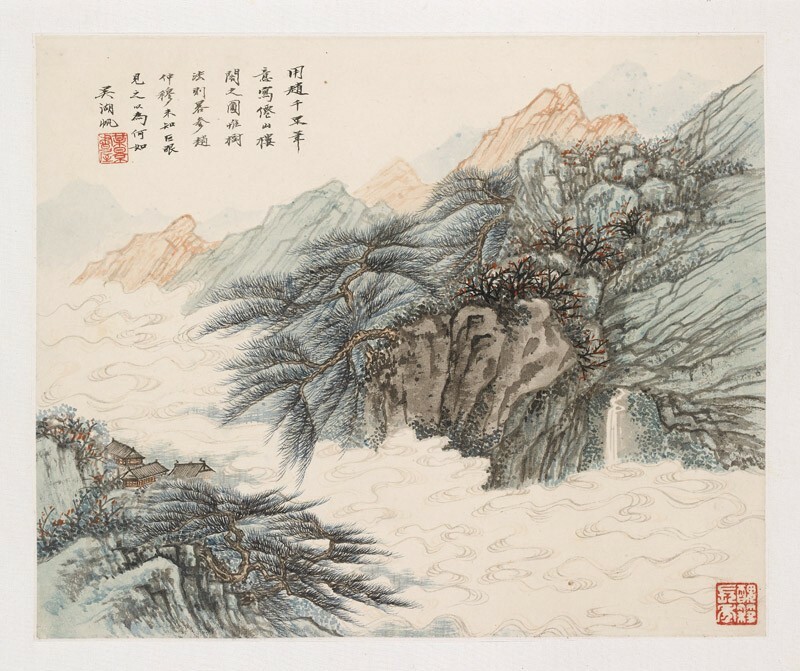 As the grandson of Qing period painter and calligrapher Wu Dacheng (1835-1902), Wu Hufan was able to access and study many original masterpieces. He is especially known for his study of the ‘Four Wangs’ from the Qing dynasty (1644-1911), Dong Qichang (1555-1636) of the Ming dynasty, and also Dong Yuan, Juran (active AD 660-995) and other Song dynasty (AD 960-1279) master painters.